This is a unique system started by the planning commission, government of India. Aadhar is valid across the nation as proof of identity (POI) and proof of address (POA). It is issued without any charge to all the residents of India. While registering make sure you have mentioned a mobile number so that UID status can be tracked easily. Here, I am going to tell the way to trace Aadhar Card status. Suppose your enrolment number is 1011/16891/23161, then send SMS without quotes UID STATUS 10111689123161 to 51969. You need to send SMS through the same mobile which was used at the time of registration otherwise you will not get any status update. While entering message detail make sure that "/" slash have been removed. 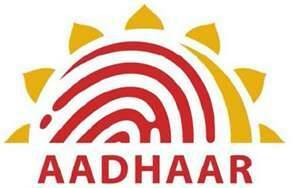 If your Aadhar has been generated Aadhar number will be sent to you. If it is not generated your current Aadhar status will be communicated to you. Here, 14 Digit EID is the 14 digits “ Enrollment No” appearing on the enrollment slip. You can download the E-aadhar letter from http://eaadhaar.uidai.gov.in/ by following instructions that come on your screen and filling in the boxes as prompted. In the post given below, you can see the video shows how to check your aadhar card status online. I AADHAR card was lost, how i will get my aadhar card please help me. Can any unknown person can get. My address if he knows my mobile number.